And when it came to super-charging, I could supercharge without pressing down the square button. It let me supercharge even when I jumped. It stopped when I flew. Glitch? Dude, the whole game is a glitch. It happens to me all the time, so whether it's actually programmed to do that or not, is another thing. But wait, you mean that once you are supercharging, you release the square button and Spyro keeps charging? I think that's actually supposed to be like that. In fact, it also happens int Spyro 1, 2 and 3, if I'm not mistaken. Really? Never happened in those games, and I've spent about 9 years playing them. I've got that '3rd place' glitch in that Speedway. I think by now everyone knows this game is glitchy, no need to say it in every single topic. Well, maybe landing and not pressing the square button... But I might be totally wrong here. Funny thing is, I played those two games last week and I don't remember. Anyways, maybe it's not like that in those games, but I still think it's supposed to happen in Enter the Dragonfly. 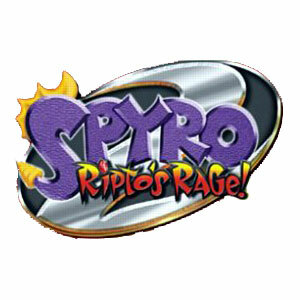 In the other games, I held down the square button but i let go for a second and Spyro kept running. We could write a book the same length as Twilight (the whole saga) with that. I just keep a copy for "keep-sakes", sometimes I like to play it for nostalgia, I end up quitting it after about half an hour, due to my patience wearing thin with it. But I must admit, I don't think I've played it for about two years, which isn't longer than usual, because the last time I played it before that, would have been around 2006, and the time before that in 2003, when I first got the damn game. Well, I'm playing it right now. I know it's a terrible game, but hey, I kind of enjoy playing it. When I start playing a Spyro game I don't stop until I'm done with all of my Spyro games. Plus, I don't want to get rid of it. Once I lent my only Crash Bandicoot game (Warped) to my cousin and never got it back... I know that has nothing to do with the topic, but for some reason it makes me want to keep the game.